Viavi Solutions will showcase its Lab To Field – 5G network testing and assurance portfolio in a live demonstration at Mobile World Congress in Barcelona, February 25-28, 2019. Recognized as the foremost solution set to facilitate 5G network evolution and speed time to market, VIAVI Lab To Field includes testing systems that are in use with leading base station manufacturers and network service providers worldwide. VIAVI supported a Tier-1 U.S. service provider in deploying 5G New Radio (5G-NR) over a dual mode-capable Massive MIMO radio. NITRO Mobile – analytics and assurance based on a real-time intelligence platform that captures, locates and analyzes all mobile events across the RF, RAN, xHaul and core. O-RAN Alliance – an alliance founded by operators to clearly define requirements for evolving radio access networks and build a supply chain ecosystem for a multi-vendor, interoperable, autonomous RAN architecture. Alliance members are committed to introducing O-RAN-compliant products in commercial 5G networks starting this year. Open vRAN ­– a multi-vendor group aimed at accelerating the viability, adoption and interoperability of Open Virtualized Radio Access Network solutions. VIAVI TeraVM enables an elastic test bed which can be used to deliver software-defined testing with reliable and repeatable results. NetSecOPEN – the first industry organization focused on the creation of open, transparent network security performance testing standards, which will be vital to 5G and IoT network topologies being inundated by an unprecedented volume and diversity of network and user equipment. TeraVM delivers a fully virtualized application and security validation solution to test and secure devices, networks and their services, and will run NetSecOPEN test suites. 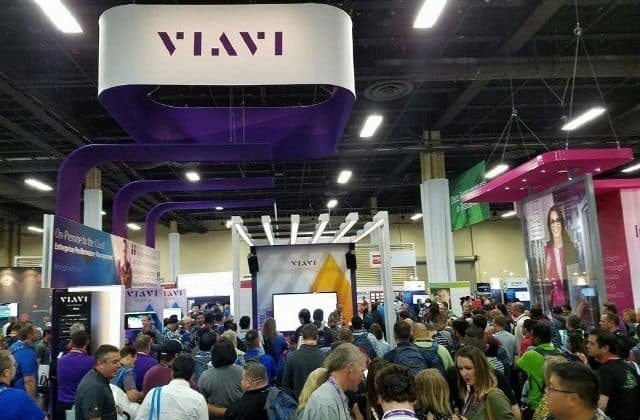 VIAVI to showcase 5G network testing and assurance portfolio at MWC 2019 0 out of 5 based on 0 ratings. 0 user reviews.